You will need a 20cm (8 inch) springform tin. 1) Preheat your oven to 190°C/375°F. Grease a 20cm (8 inch) springform pan and line the bottom with a round of parchment paper. Set aside. 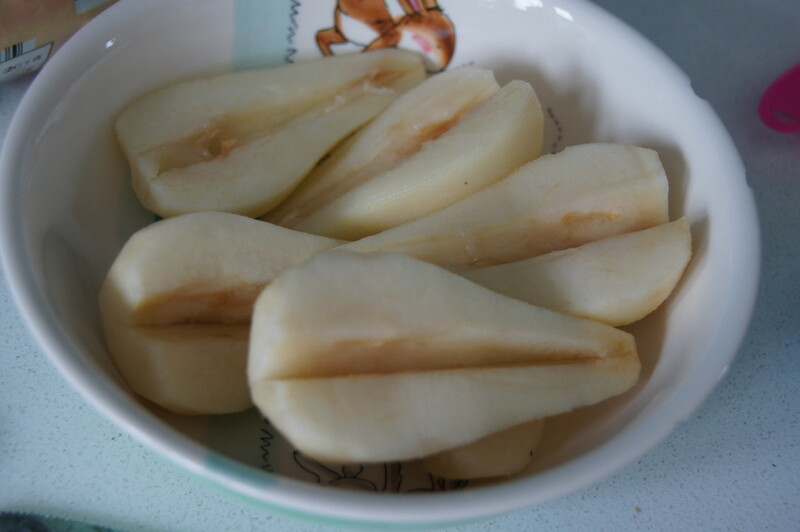 2) Prepare the pears by peeling, coring and cutting them in half. Set aside. 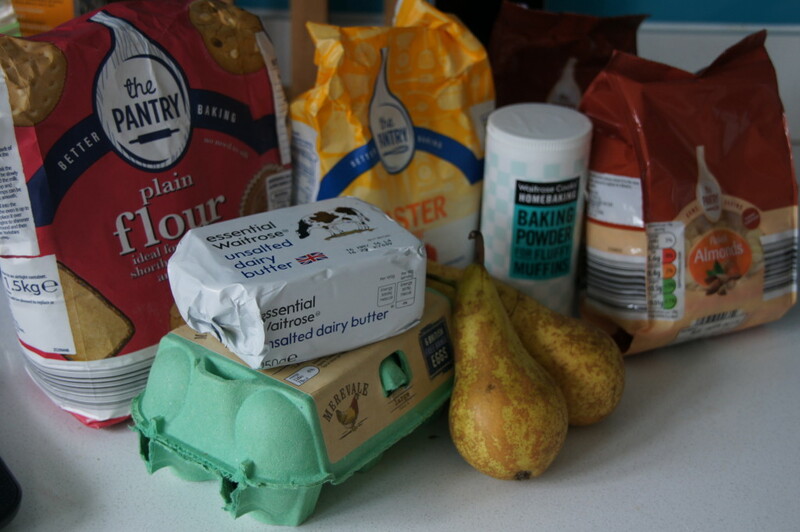 3) In a large bowl with an electric mixer, or in the bowl of a stand mixer, beat the butter and caster sugar together until pale and fluffy. 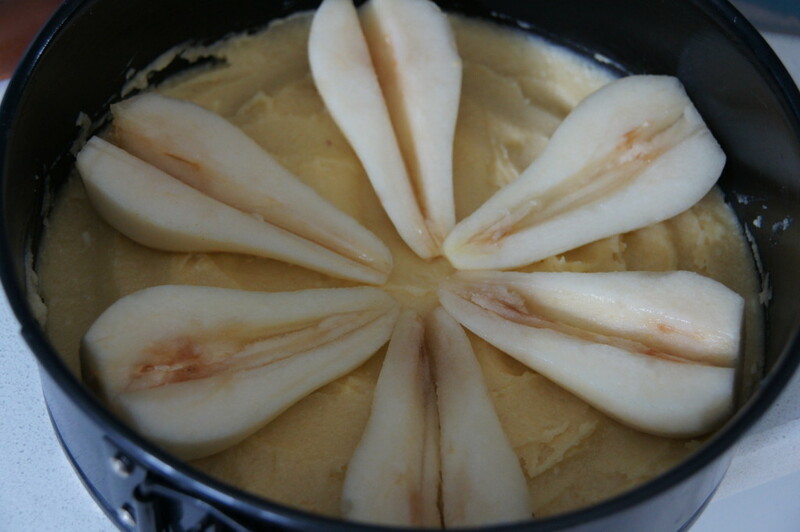 5) Arrange the pear halves over the top of the cake and bake in for 25 minutes. 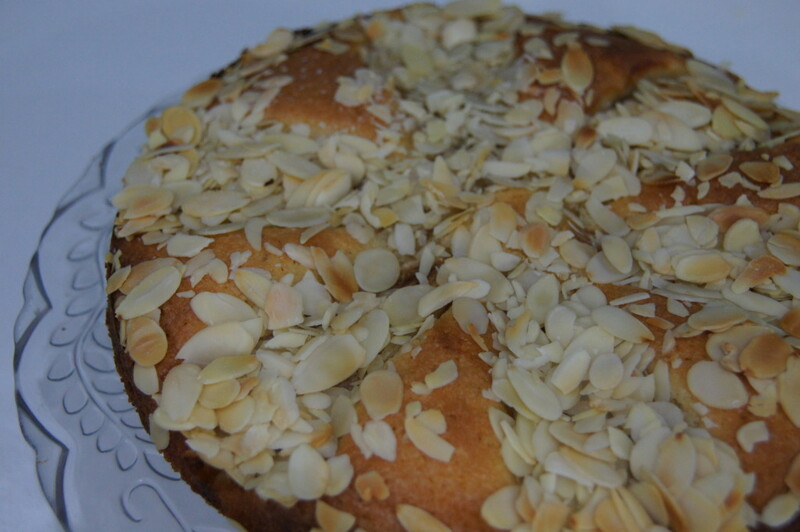 6) After 25 minutes, remove the cake from the oven and sprinkle the flaked almonds over the top. Return to the oven for a further 8-10 minutes. 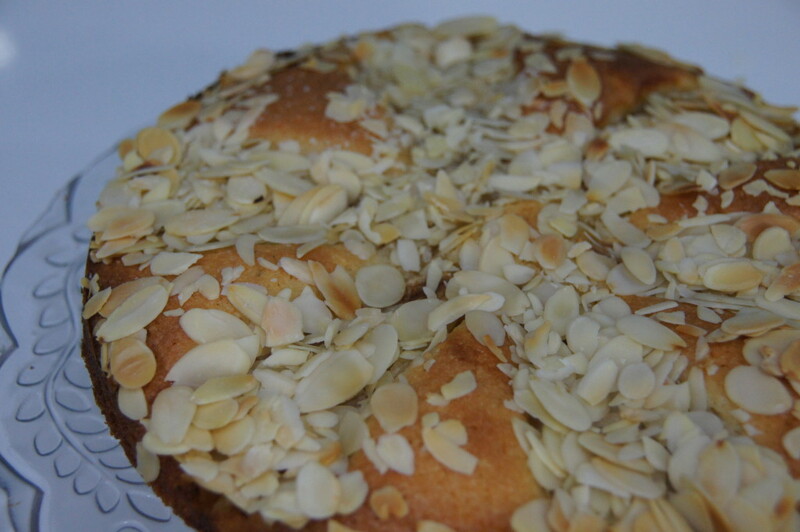 The cake is ready when a skewer inserted into the centre of the cake comes out clean. 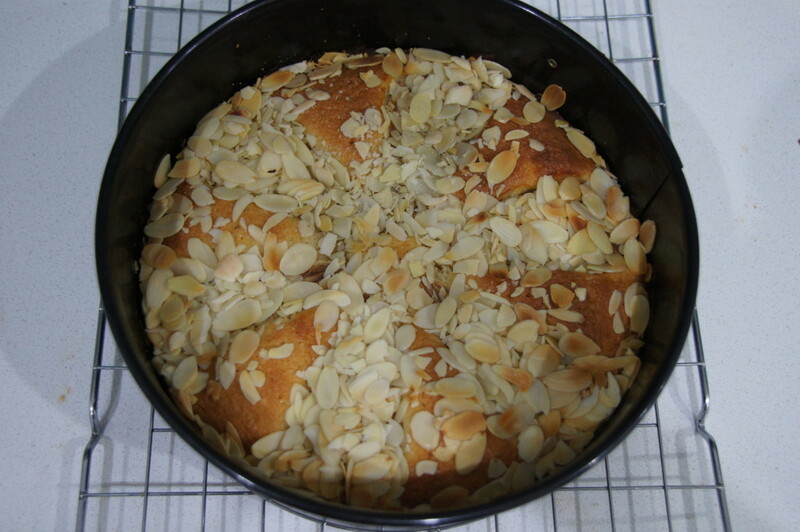 7) Leave the cake to cool in the tin, then run a knife around the outside and carefully remove the ring and base. Dust with icing sugar before serving with cream if you wish.